By World Order for the 2020 Tokyo Olympics. I vote for Team Delinquent. Now that the film has been developed, there will be many days of male yankii glory. So much pomp, excitement, make-up, skin color innovation, and camaraderie. 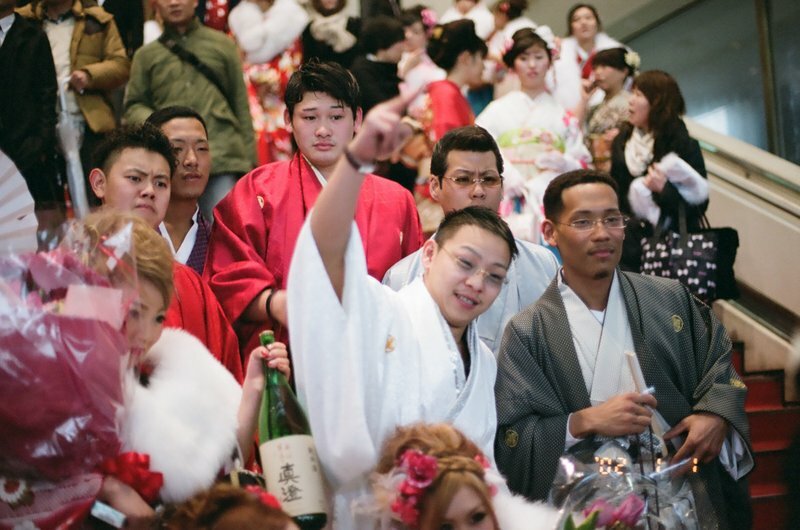 Of the many cliques celebrating their 20th years of life, including the wanna-be hosts, wanna-be salarymen, and yankii ladies, it’s the delinquent boys who seem so welcoming to this teetotaling, foreign pervert. I heard a few ladies snickering in jealousy, but I focused instead on male beauty, pride, and friendship. 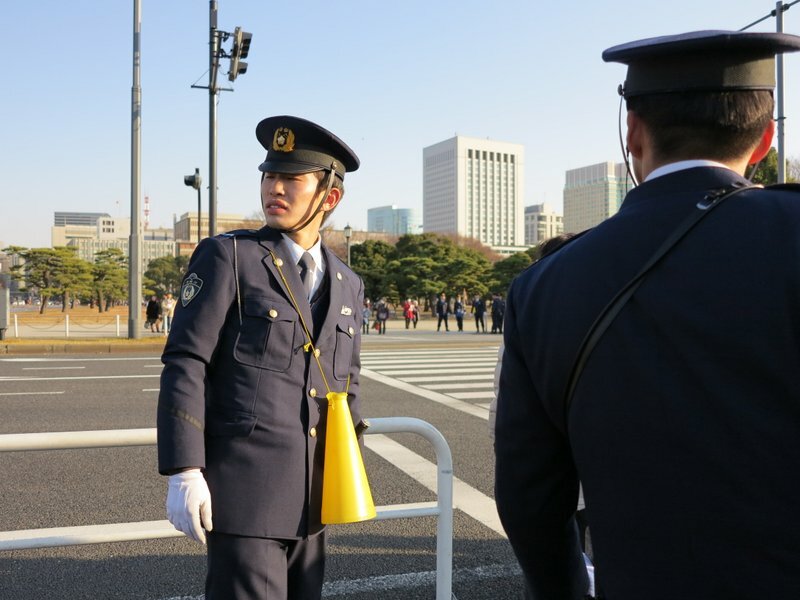 For those unmoved by emperors and princesses, one of the most re-assuring and pleasurable sites at the Emperor’s address on January 2 of each year is the extravagant display of uniformed protection. With his yellow analog megaphone, white gloves, and pillowy lips, this policeman is welcome to tell me what to do. Welcome to the farmers market. Haute hippie fashion, and nutritious food. Is it just me, or do you think this is a fashion crime committed in broad daylight on the airport tarmac? How can the First Lady of Mexico greet the pope in a matching outfit? I am thrilled that she won’t cede all the spotlight to the creepy guy with the gold cross. Demure, feminine, and yet not unlike wearing a white lace gown to a wedding where you are not the bride. OMG. What a wonderful dress. Welcome, new First Lady, Michelle Obama. It’s going to be a fierce 4 to 8 years. Does anyone know who designed the dress? It’s very Mark Rothko, and totally unlike the typical power-suit (see Mrs Biden to her right for an example of that tired look). I am ready for c-h-a-n-g-e.
Laura, don’t let the door hit you on the way out. And, Cindy, I hope you can medicate yourself into happiness as a private citizen.